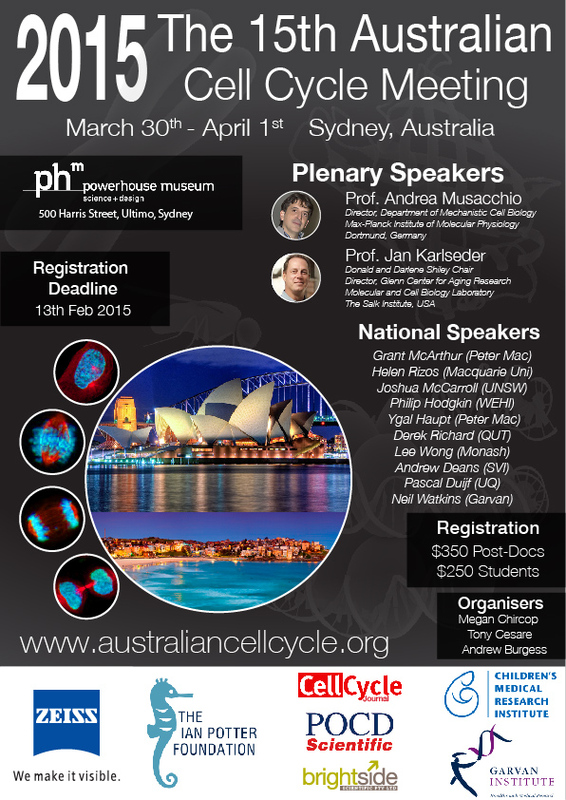 Registration for the 15th Australian Cell Cycle Meeting (#ACCM15) is closing this FRIDAY 13th February. It will be held at the Powerhouse Museum here in Sydney from March 30 – April 1st, 2015. The meeting is proudly co-hosted by the Garvan Institute and CMRI, in partnership with the Cell Cycle Journal, the leading international journal for cell cycle research. Spaces for the conference are limited, so be sure to register now so you don’t miss out on this fantastic conference.